IT was a day of disappointment for two of Limerick’s AIL clubs with Shannon losing at home to Cork Constitution, which means that they drop down to division 1B next season, and Thomond ending 20 years of senior status despite a spirited display that saw them reap a five pointer away to Seapoint. In other games Young Munster lost to Terenure, a result that helped save the Dublin club’s 1A status and Garryowen were beaten by Dublin University. In divisioin 2A there was no joy for the locals with both Old Crescent (lost at home to Queens University) and UL Bohemian (beaten 41-0 in Cork by Highfield) failing to carve out a victory. Limerick’s other team in 2C, Bruff, were the only local winners of the day, putting up a terrific performance against a fancied Midleton and running out worthy winners 26-8. 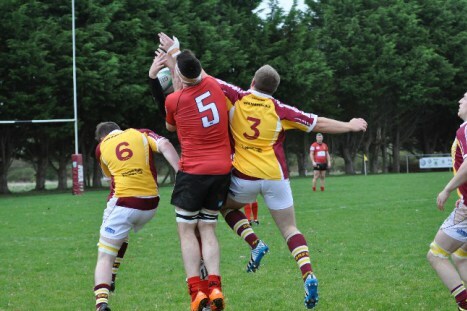 The bonus point win helped the Kilballyowen side to finish in the top four from which they look capable of winning promotion if today’s form is anything to go on. They will be joined in the play-offs with Ballina, Midleton and Malahide.